Here's a super simple project that you can do in no time. It's a recycled, upcycled, DIY, designer project that will make your kitchen a little prettier and needs no tools or paint! Sound too good to be true? It's true, I promise! 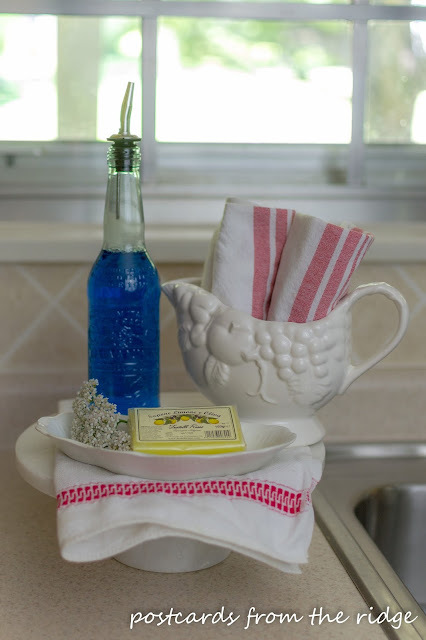 My sweet friend Kim at Hunt and Host put together a challenge for several blogger friends to take a grocery store item and make it gorgeous. "Grocery Store to Gorgeous" was our assignment. And if your grocery store is like mine then there are thousands of products to choose from so the hardest part of this project was deciding what to do. 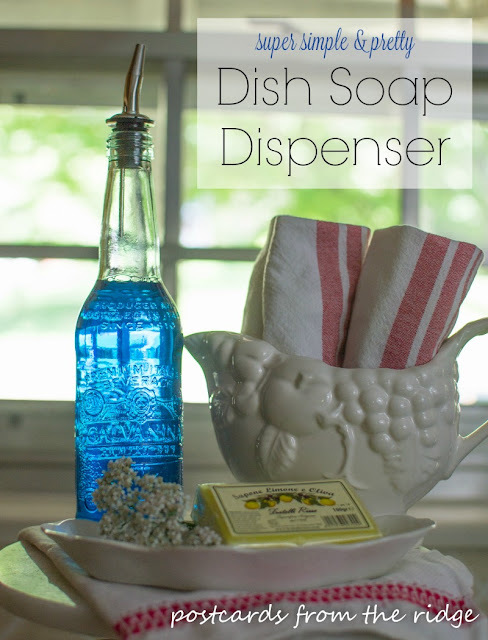 I decided to make a pretty dish soap dispenser bottle. 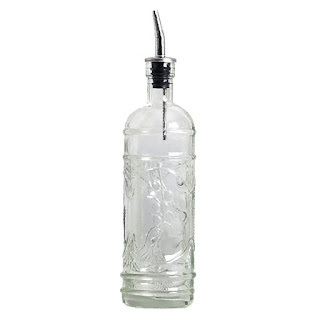 It can be used as a dispenser for olive oil, wine, dish soap, hand soap, or even vinegar. I wanted this project to be a really simple one that anyone, anywhere could do so I looked for a product in a container that didn't need any alterations. Well, except for removing the label, and all that's involved with that is water. But the container was already gorgeous. It just needed to be repurposed. 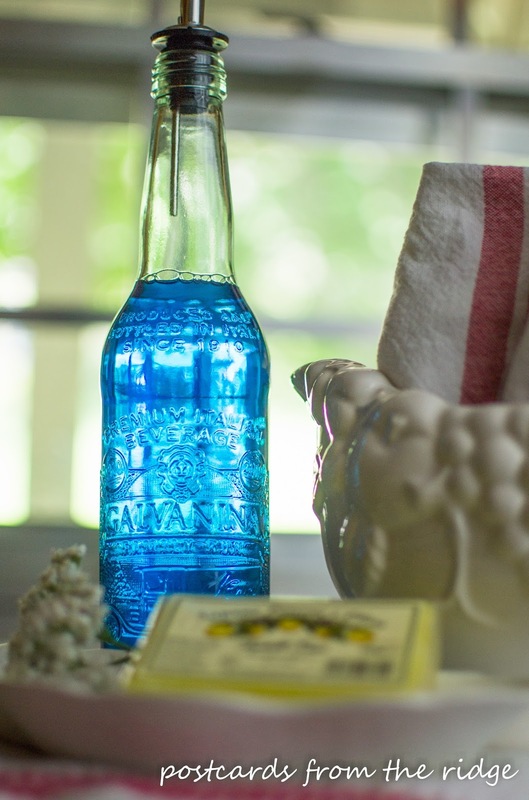 A pretty soda bottle; or a beer, wine, or liquor bottle. 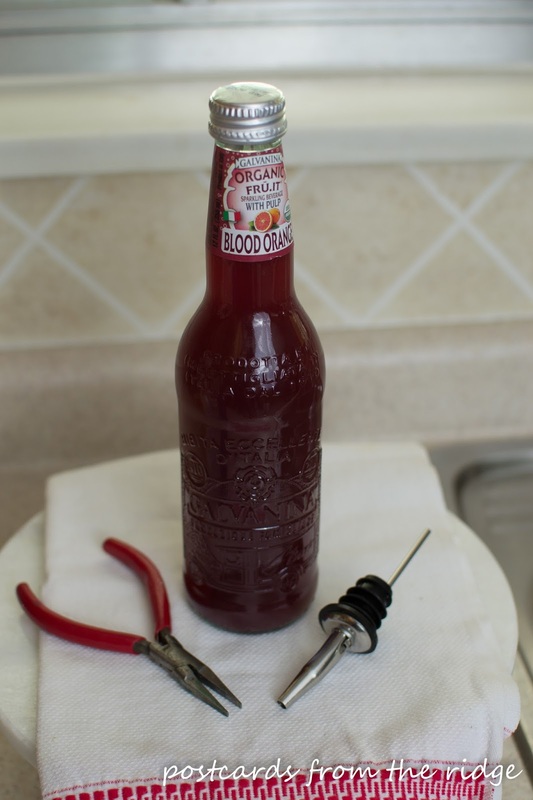 I used Galvanina Organic Fruit Sparkling Beverage, which was located with the pasta and Italian themed foods in our grocery store. The cost was $1.50. Possibly small needle nose pliers if the bottle lid has a leftover rim. As a bonus, you get to drink some yummy soda! You can actually use any soda bottle or beer bottle for this project, it's totally up to you. A wine or liquor bottle would also work. The sky is really the limit here. Below is my inspiration item, found here for $25.95. 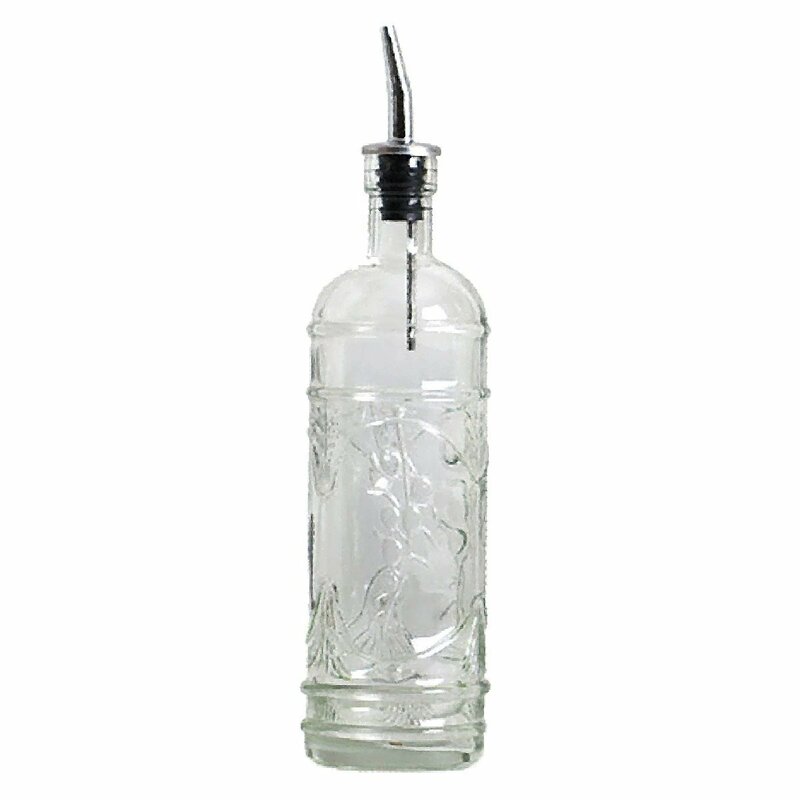 Find a pretty glass bottle and empty the contents. Remove the label and any glue and remnants of the lid. I used a pair of small needle nose pliers to remove the ring that was left from the lid on my bottle. I simply twisted it until it broke. Wash out the inside of the bottle and rinse. Add soap, olive oil, or whatever you want to house in the bottle. 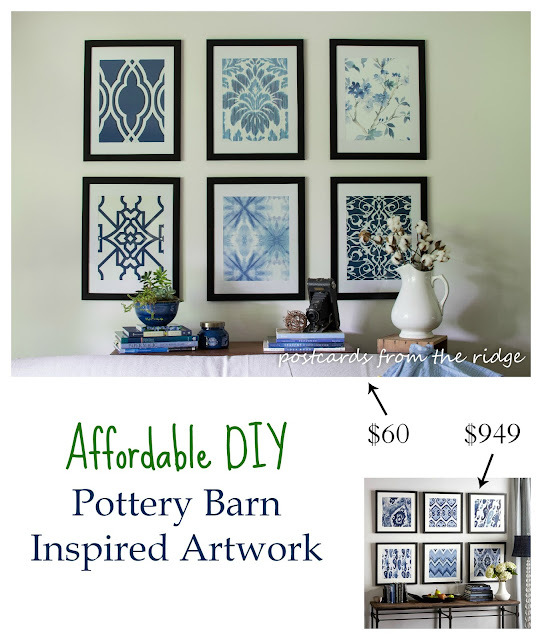 If you like creating a designer look for less, you might also like this post where I created designer artwork inspired by some I had seen in the Pottery Barn catalog. To see how I did it, go here. Don't forget to visit all my creative friends and see what they found at the grocery store and made into something gorgeous. Keep scrolling for the projects. And let me know which one is your favorite! Here are the links to my friends' projects. Be sure to drop by and be inspired by their creativity! You really got a cute bottle. I need a new dispenser for my bathroom and I am not sure why I never thought of this! It is so simple and perfect!!! I love it! Thanks. It would be great in a bathroom as well. Really, it could be used anywhere that you need to dispense liquid. Thanks for putting together the tour. Angie - we love your "new" soap dispenser. 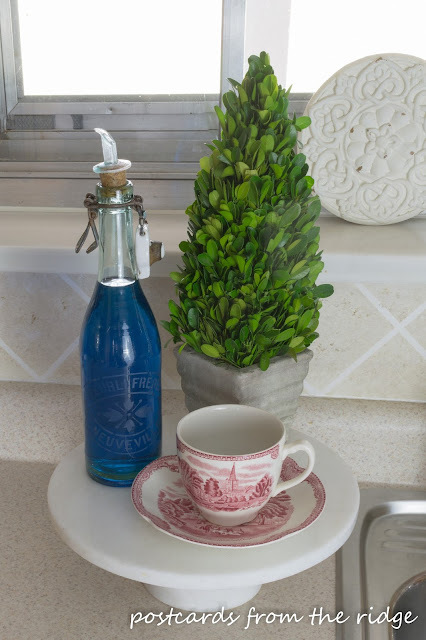 The bottle is beautiful - and we love an easy project with a lot of wow factor! Thanks! I'm all for keeping things as simple as possible. No fuss, no mess, no cleanup! 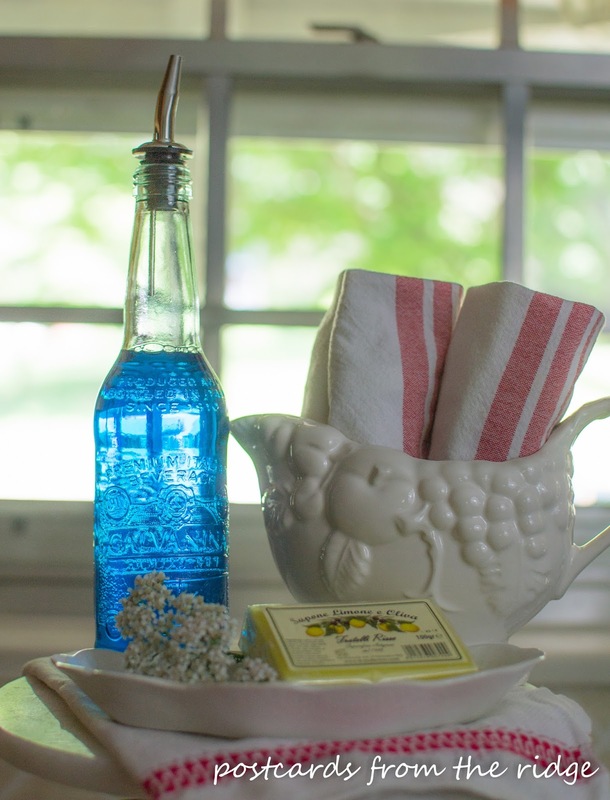 I wouldn't mind leaving my dish soap on the counter if it was in a pretty bottle like this. Great idea! I have a bunch of glass soda bottles, and I am SO doing this! Love it and pinned it! 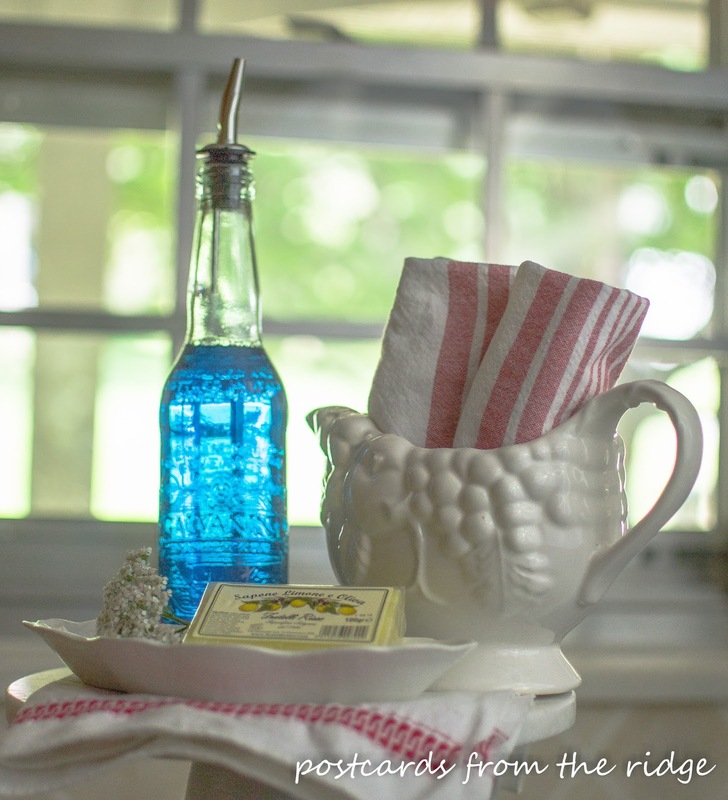 I'll bet you have some really cool vintage soda bottles that would be perfect for this! Thanks for pinning! Thanks so much Susie! I haven't figured out Stumble yet. It's on my (very Long) list of things to learn! Almost makes me wanna do dishes...... almost!